The Indian State of Sikkim is exploring new ways to establish its trade and tourism cooperation with Nepal. Towards this end, the Government of Sikkim is making moves to form the first road linkage between Sikkim and Nepal. 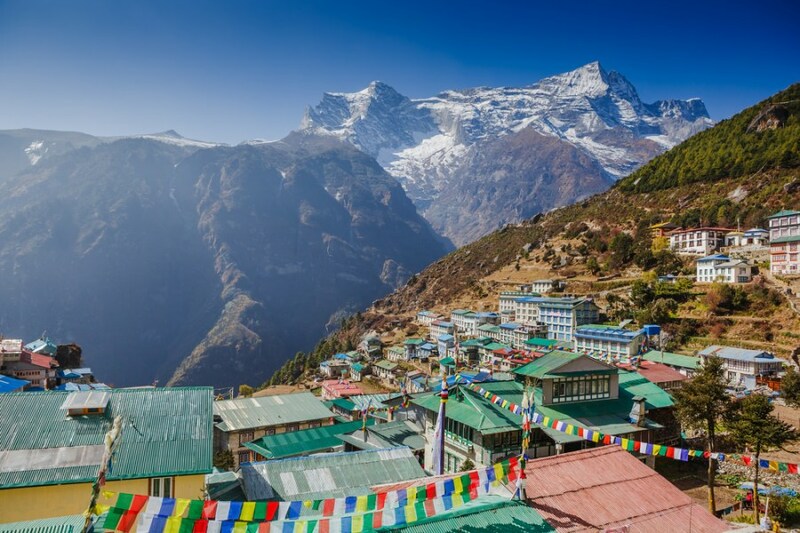 The proposed 18-km road will connect Uttarey of West Sikkim with Chiwa Bhanjyang, a Nepali village located at a height of about 10,500 feet on the Sikkim-Nepal border. Sikkim Roads Department is executing the project at an expenditure of Rs 25 crore and is expected to be complete it by the end of 2018, while Nepal has already finished the road towards Chiwa Bhanjyang. The project was expected for completion long back, but got delayed because of forest and environmental clearances, says Urban Development and Housing Minister N K Subba. “The work is on in full swing now, and we expect the road to be completed by end-December,” adds Subba. According to Subba, the new road link will enhance trade and tourism ties between the two regions. “The area has been witnessing a steady rise in the flow of tourists for the past six-seven years. The road will provide another entry point for tourists. Trade between Sikkim and eastern Nepal will also get a fillip,” says the Minister. Locals also feel that the new link will take the existing trade cooperation between the two regions, in small volumes currently, to the next level. “Items like salt, sugar and kerosene are traded in the border area. With the establishment of the road link, the trade volume will definitely see an increase. There will also be an increase in the number of trading items,” says Arjun Subba, a lodge owner at Uttarey. In terms of tourism, a local tourism entrepreneur Siv Bahadur Limbu feels that the region holds good potential for trekking activity since they were first opened in 2010. “Uttarey-Chiwa Bhanjyang is the shortest trek and takes about two hours. Porters are available for hire at Uttarey. The higher reaches are pristine and when flowers like rhododendron are in bloom, it is a sight to behold,” says Limbu. According to Arjun, the state government has already built Tenzing-Hillary Park and is also planning to revive the dried-up lake located in the heart of the village. “There used to be a lake in the village, but it dried up and is now filled with mud. The government is in the process of reviving the lake, which could add to the beauty of Uttarey,” adds Arjun. Sikkim also has Asia’s 2nd largest suspension bridge (in terms of altitude) called Singshore bridge. Sikkim and Nepal currently share a 100-km-long border and are looking at new heights of cooperation with the new route.